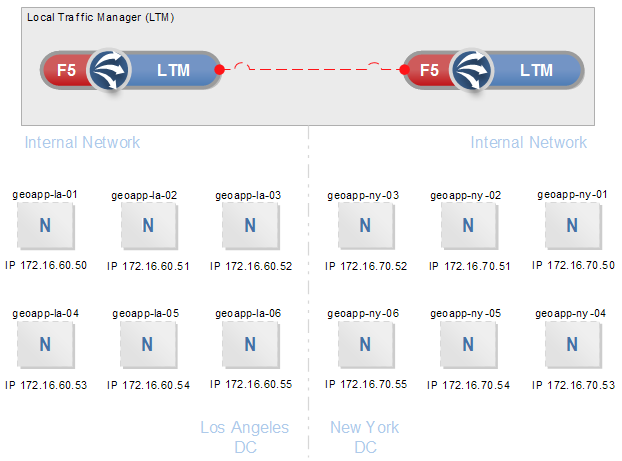 In this article we will focus on the F5 BIG-IP Local Traffic Manager (LTM) configuration. This article assumes you have already deployed the LTM devices as described previously. 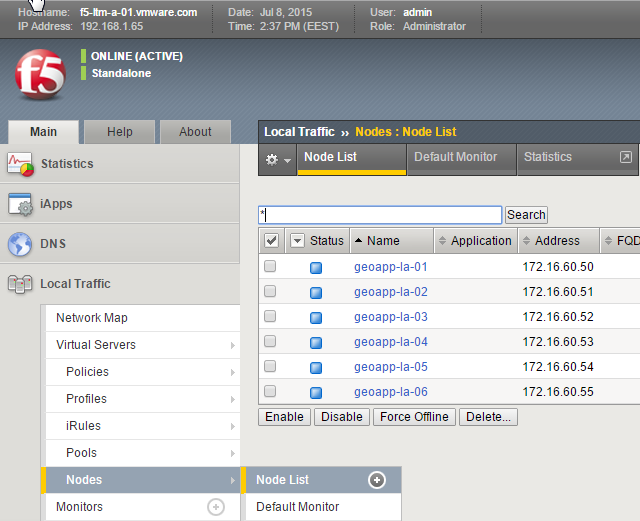 We will take a look at LTM Monitors, Nodes, Pools , Load balancing and Virtual Servers. The BIG-IP® local traffic management system can monitor the health or performance of either pool members or nodes. The local traffic management system includes a wide variety of monitors. You can choose which types of monitors you want to associate with a given pool, pool member, or node. Depending on the use case you are implementing, different health monitors are needed. Refer to the particular use case to identify the monitors necessary and use the steps below to create them. Leave all other properties to their default values. Nodes are the basis for creating a load balancing pool. For any server that you want to be part of a load balancing pool, you must first create a node, that is, designate that server as a node. After designating the server as node, you can add the node to a pool as a pool member. 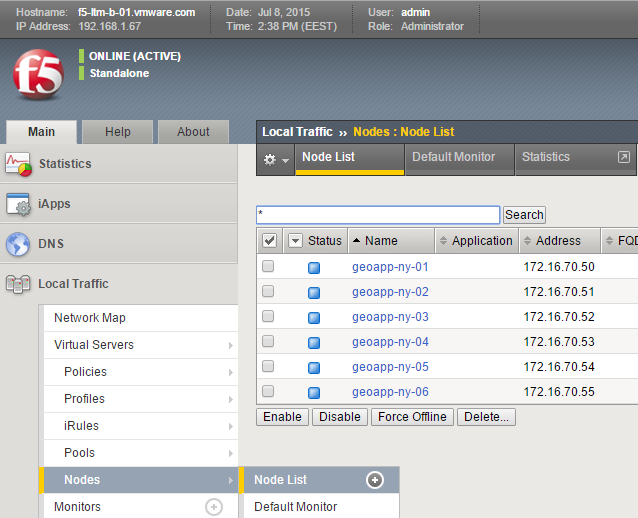 You can also associate a health monitor with the node, to report the status of that server. 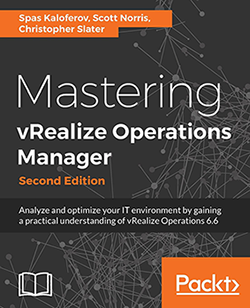 For information on adding nodes to load balancing pools, see Chapter 4, Configuring Load Balancing Pools. Depending on the use case you are implementing, these nodes will represent different (application) server components. For example these nodes can represent a vRA Web , vRA IaaS Web , vRA Iaas Manager Service or vRO server. Refer to the particular use case to identify the nodes necessary and use the steps below to create them. A load balancing pool is a logical set of devices, such as web servers, that you group together to receive and process traffic. Instead of sending client traffic to the destination IP address specified in the client request, the BIG-IP system sends the request to any of the servers that are members of that pool. This helps to efficiently distribute the load on your server resources. When you create a pool, you assign pool members to the pool. A pool member is a logical object that represents a physical node (and a service) on the network. A pool member can pertain to the default route domain on the BIG-IP system or to a specific route domain that you choose. You then associate the pool with a virtual server on the BIG-IP system. Once you have assigned a pool to a virtual server, the BIG-IP system directs traffic coming into the virtual server to a member of that pool. An individual pool member can belong to one or multiple pools, depending on how you want to manage your network traffic. Refer to the particular use case you are implementing to identify the Pools necessary and how to create them. For more information about LTM Load balancing, see Configuring Load Balancing Pools and Specifying the load balancing method. Refer to the particular use case you are implementing to identify the Load Balancing configuration necessary and how to configure it. A virtual server is a traffic-management object on the BIG-IP system that is represented by an IP address and a service. Clients on an external network can send application traffic to a virtual server, which then directs the traffic according to your configuration instructions. The main purpose of a virtual server is often to balance traffic load across a pool of servers on an internal network. 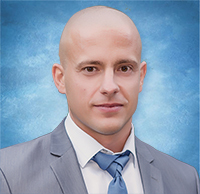 Virtual servers increase the availability of resources for processing client requests. Not only do virtual servers distribute traffic across multiple servers, they also treat varying types of traffic differently, depending on your traffic-management needs. For example, a virtual server can enable compression on HTTP request data as it passes through the BIG-IP system, or decrypt and re-encrypt SSL connections and verify SSL certificates. For each type of traffic, such as TCP, UDP, HTTP, SSL, SIP, and FTP, a virtual server can apply an entire group of settings, to affect the way that the BIG-IP system manages that traffic type. A virtual server can also enable session persistence for a specific traffic type. Through a virtual server, you can set up session persistence for HTTP, SSL, SIP, and MSRDP sessions, to name a few. Refer to the particular use case you are implementing to identify the Virtual Servers necessary and how to create them.